All of the products were really great but my favorite by far was the Gelato! I had never tried Gelato before and now I’m hooked! The Breyers Gelato was great and the flavor was AH-MAZING! We tried the Raspeberry Cheesecake and it was to die for! My husband and I finished almost all of it in one night! I finished it the next day for lunch… Hey don’t judge! Once you try it for yourself you’ll do the same too! I’m actually trying to perfect a recipe using the gelato and will be posting it soon! 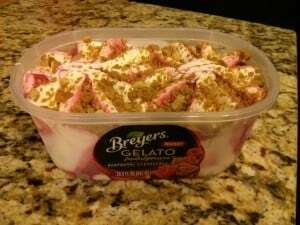 We found the gelato at Wal-Mart and it was under $5 but I have also seen it at Target and Smith’s. I also really liked the Neo-To-Go. It’s this cute little spray that fits perfect in my diaper bag; but is small enough it would fit in your purse too! It is a spray vs. your typical gooey Neosporin in the tube. Rohrl, my two year old, really likes it and it has helped calm him down twice after falling and getting hurt. I never want to see my kids get hurt but one of the things Influenster asks you to do is film a video using the Neo-To-Go. Rohrl is usually pretty graceful and careful and doesn’t get hurt so I was thinking I would probably have to just make a fake video using it. But one day he was running outside and totally face-planted… well he saved his face with his elbows. I brought him inside and showed him the Neo-To-Go and told him it was “Special Medicine” and as soon as I sprayed it on he was all better. It is a light formula and, just like the regular Neosporin, helps heal scratches quickly. Since the first time I have used it two other times and it has worked great! Definitely a product I will be buying again once this one runs out! I’ve seen it at Wal-mart for around $5. 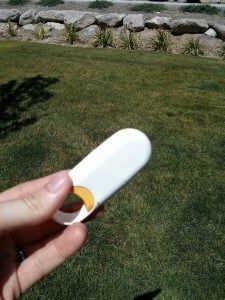 To see our video of the Neo-To-Go click here. And of course every mommy knows having tissues handy is a must! 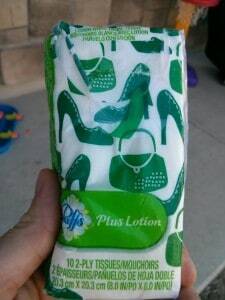 The Puffs with lotion tissues are also a great product! 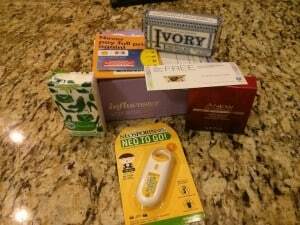 Since I ran out of Kleenex in the spring I have yet to go buy more, lazy I know. And when I got these beauties in my VoxBox it was one less thing I needed to buy. I’m usually not a brand snob but I think I’m only going to buy Puffs with lotion from now on when I buy tissue. Little Statham, my one year old, got a summer cold about a week ago and usually with his colds he gets a bright red nose because of all the tissues catching his boogs, but not this time. These extra soft tissues didn’t change his nose color one bit and he seemed happier when I was blowing his nose too! If you, or your kids have sensitive noses definitely try these tissues. Bonus: The packaging is super bright so it’s easy to find in my mess of a diaper bag! You can pick these up at Wal-Mart or Target, or pretty much anywhere I’m sure and they are less than $1/pack. 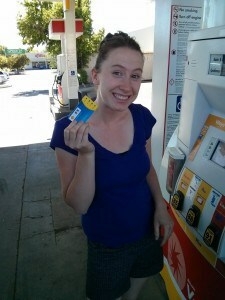 The Shell Fuel Rewards card was a nice perk too! When you sign up you get $.25/gal on your second fill-up! For the first fill up and every fill up after it’s at least $.03/gal! Cha-ching Cha-ching more money for gelato or other treats too! Plus you can link your Mastercard to your rewards card and get an additional $.10/gal. You can also earn rewards ($$$ off at the pump) by shopping and eating out! Best part is it is absolutely free! Just like have a rewards card at the grocery store. To learn more go to their website here. Check out my happy face! The only item I wasn’t super impressed with was the Avon wrinkle smoother. But to be fair I don’t really have wrinkles so I don’t think I’m a great reviewer for this product. What I did like though is that it is a great moisturizer and base before I put on my concealer. If you have wrinkles or lots of laugh lines this may be something you’d like to check out! I think it sells for $30 and you can buy it here. Sorry for the stock photo… Statham likes shiny things and somehow got his hands on this and now it’s missing 🙁 I promise though that I have it and have tried it! Thank you to Avon.com for the photo. 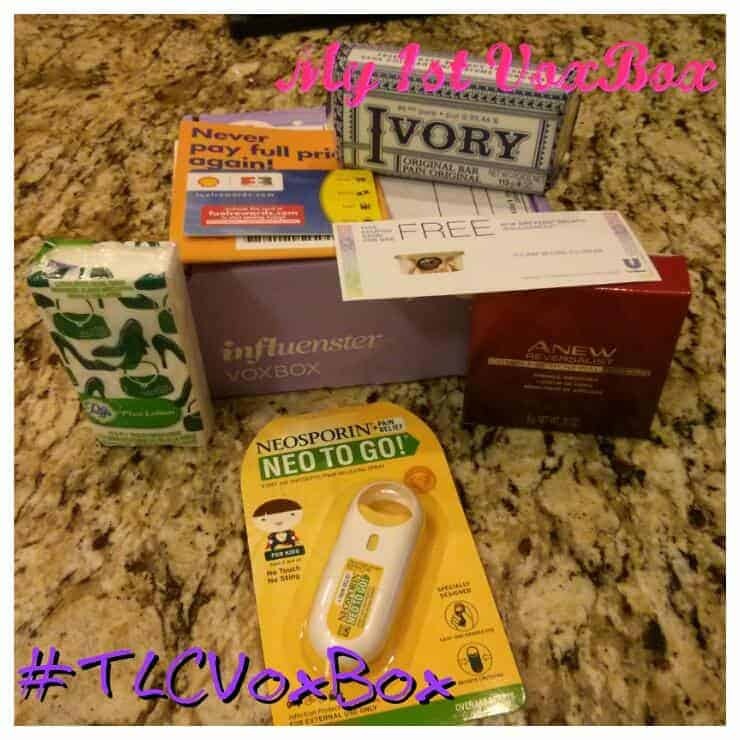 Overall I was very, very impressed with everything included in the TLCVoxBox and can not wait to get another one! Almost every item in the box I am still using weeks later and plan on buying in the future. Thank you Influenster for putting together such a great program! Disclosure: I received all these items compliments of Influenster and their partners but all opinions are my own. Great items. I love Neo-To Go! 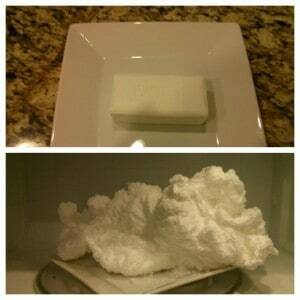 I also am a big fan of Ivory soap. This is a fun treat. Yes the Neo-to-Go is awesome!! That was a great box… Who could not use a gas card.. I know… I see the pictures on Instagram and love all of them! Never heard of VoxBox before, thanks for the introducing me! Anything that has coupons for gelato is right up my alley! Fingers crossed for more boxes in the future. Neo to go for the scrapes, and puffs to dry away the tears! Just what I need for a day with my littles.